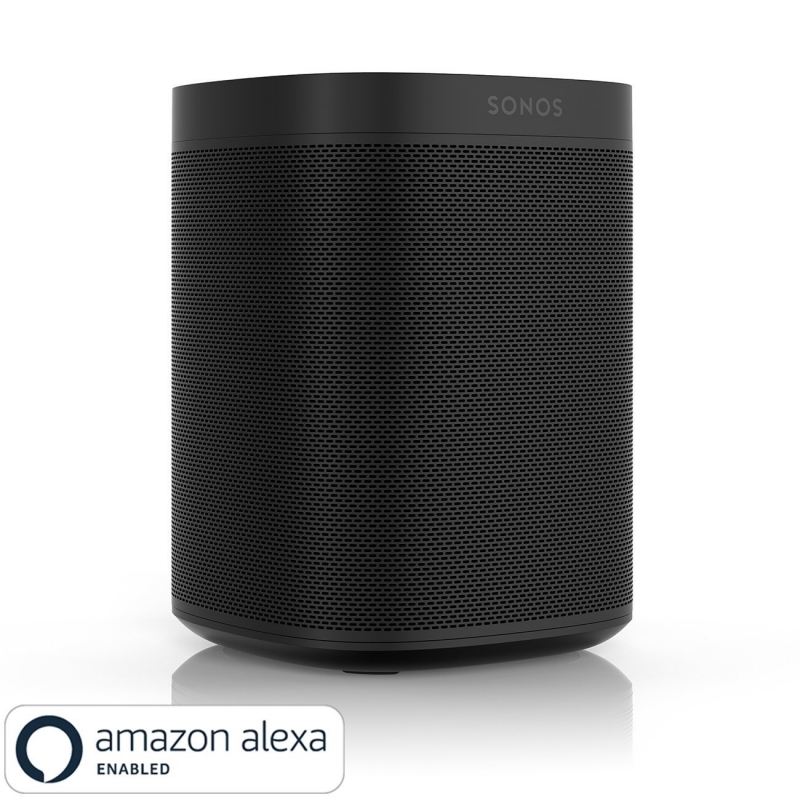 All-New Sonos One is the Most Powerful, Affordable and Multipurpose Smart Speaker on Market. As we evolve, so do the things around us. Technology on the other has helped us evolve exponentially. 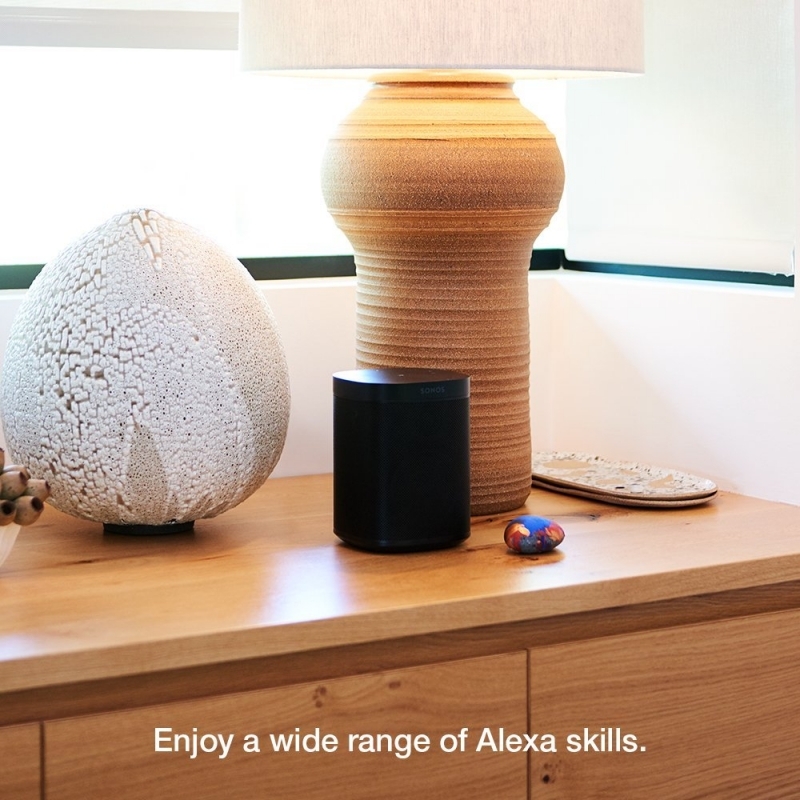 From analog to voice and motion recognition, from a simple speaker to a smart speaker making everyday life easier. Today, most people are more into versatile products. The Sonos One by Sonos serves a lot of purpose. It is generally a speaker that can also be used for an alarm clock, a timer, a news source, a timer, a music player and a whole lot of great things. The Sonos One is one of the potent smart speakers ever made so far. You can easily start and control your music with your voice. After five days of listening to it and given it all the commands we could think off and comparing it with other smart speakers we found out that it does have the best sounding and crystal clear sound. Again, it does pretty good work on the commands. It can do things like play songs from Amazon Music, Spotify, Pandora, iHeartRadio, TuneIn, and SiriusXM, check news, traffic all by just a simple voice commands. You can even relax in bed and just give the command on what to play, volume up or down, next music, repeat, and many more. This is the ultimate smart speaker for music lovers. 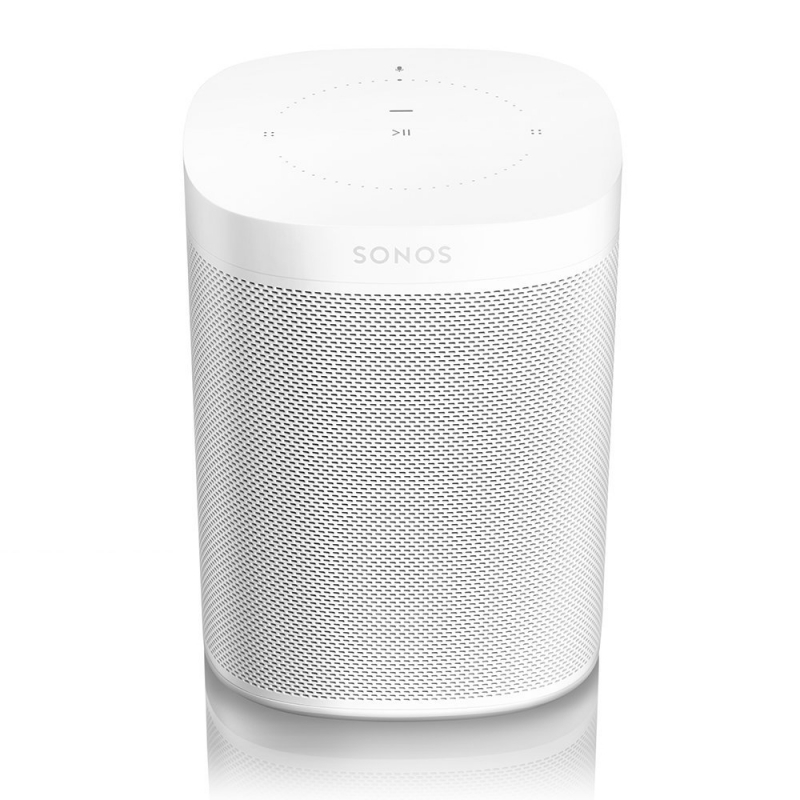 The Sonos One comes in two colors black and white; don’t confuse yourself with the Sonos PLAY:1 since they are almost identical. 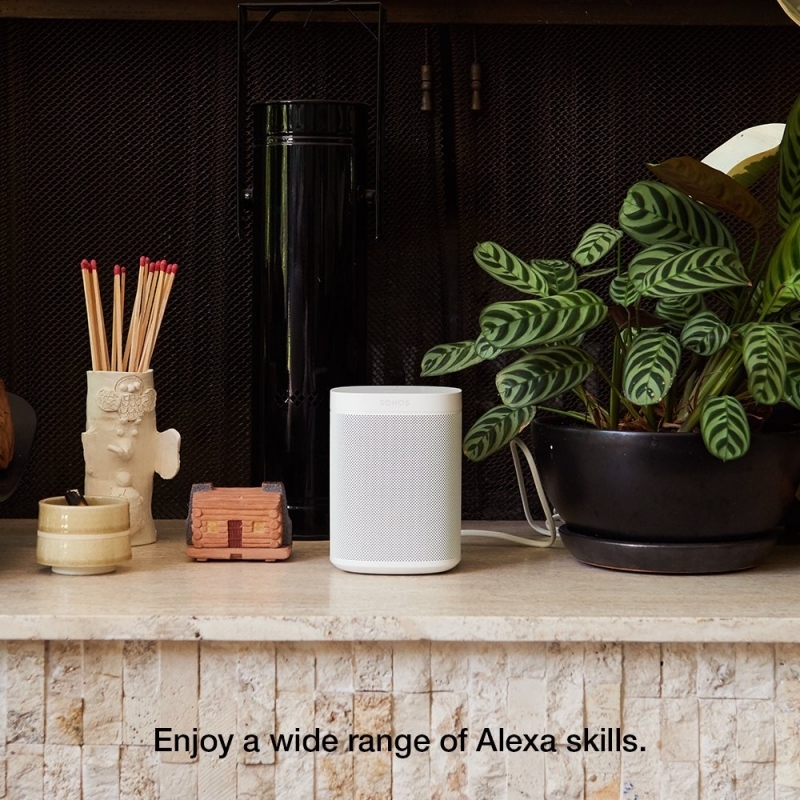 The big difference between the two is the Sonos one has a voice control built with Alexa whiles Sonos PLAY:1 voice control becomes active when connected to Alexa device. 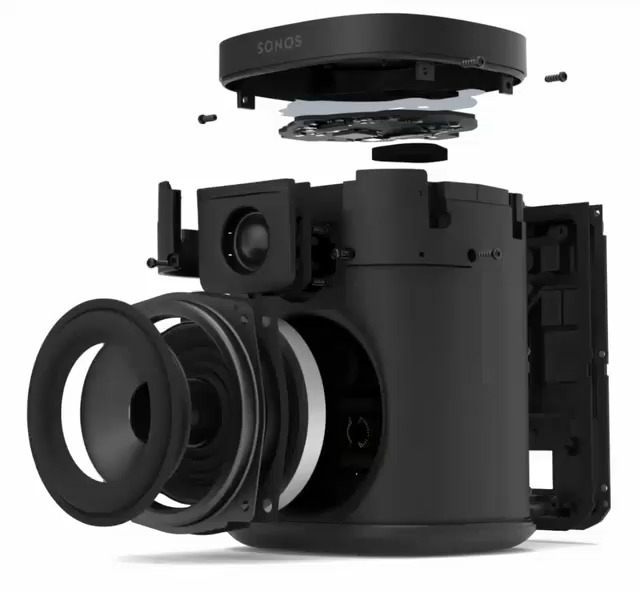 Again the Sonos One has a dimensions of 4.72 x 4.72 x 6.34 in and weighs 4.08 lbs whiles Sonos PLAY:1, on the other hand, has a dimensions of 9.38 x 4.69 x 6.36 in and weighs 8.16 lbs. Apart from the Sonos One having voice control, it also has a touch control with up volume, mute, swipe to skip a track, play/pause. 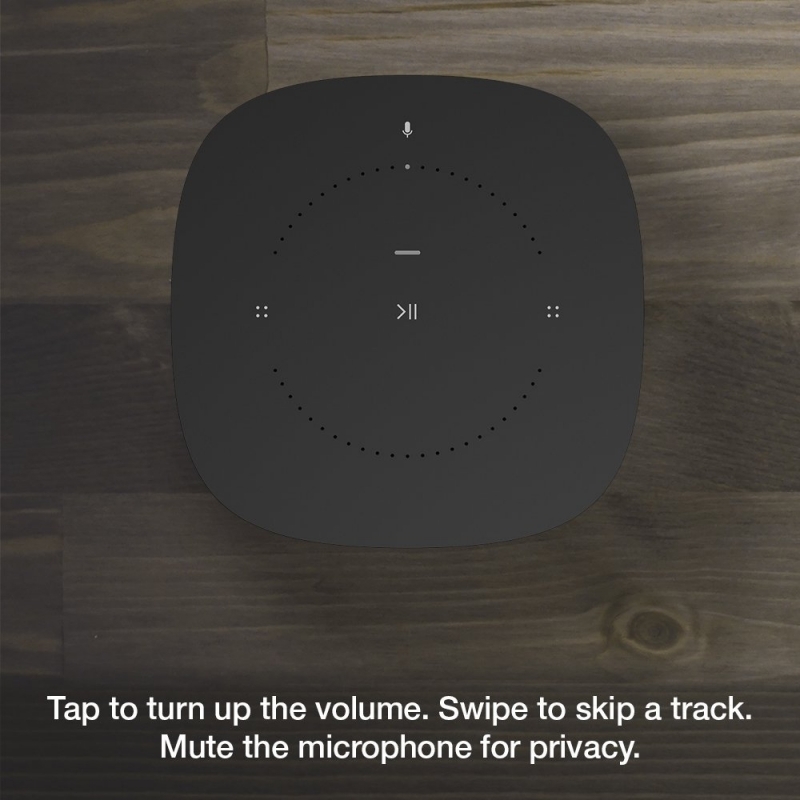 You can also use the Sonos app to control your music. 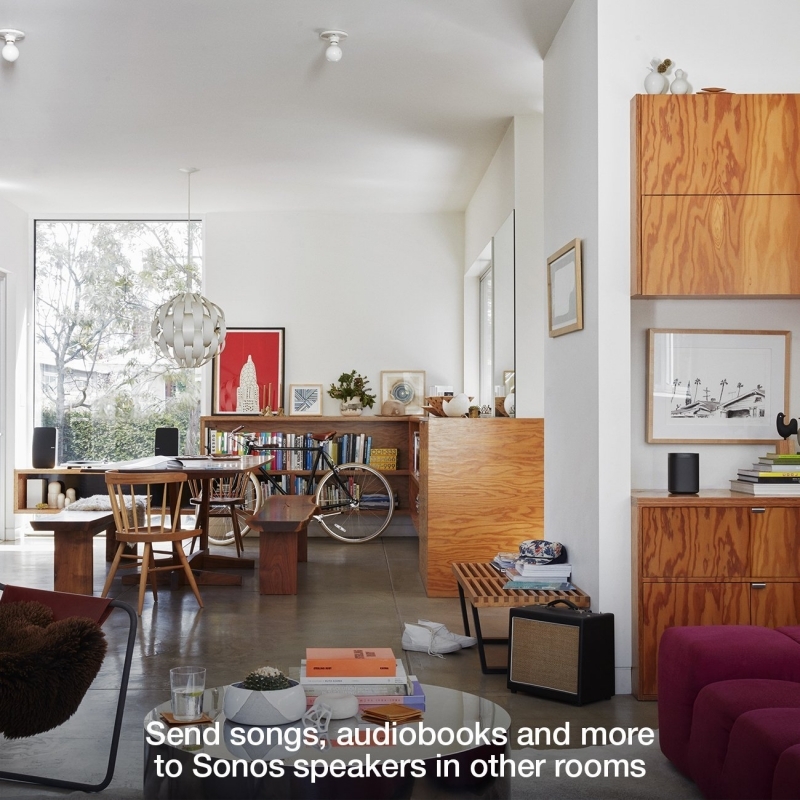 The Sonos One is designed in such a way that you can pair more than one Sonos one in one room to get a deeper and clear stereo. The Sonos One is also a humidity resistant but not a waterproof. The Sonos can be mount on the wall ceiling, on the floor and any cool place you can think off.